ELANCYL is the pioneer in slim care and anti-cellulite skin care products. Created in 1971, ELancyl Laboratoire is the unique brand to combine both products and massage for effective slim care solutions, and first brand to use caffeine in a slimming product. At CES 2017: The first cosmetic brand to launch a connected smart beauty device to fight cellulite. 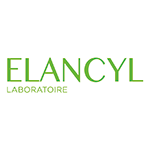 Elancyl Laboratoire is a brand of French leader of Dermo-cosmetics, PIERRE FABRE Laboratories, a privately owned pharma company, whose major shareholder is the Pierre Fabre Foundation, manufacturing innovative care solution from health to beauty. With 13 000 people, the company achieved over €2 billion revenue in 150 countries.